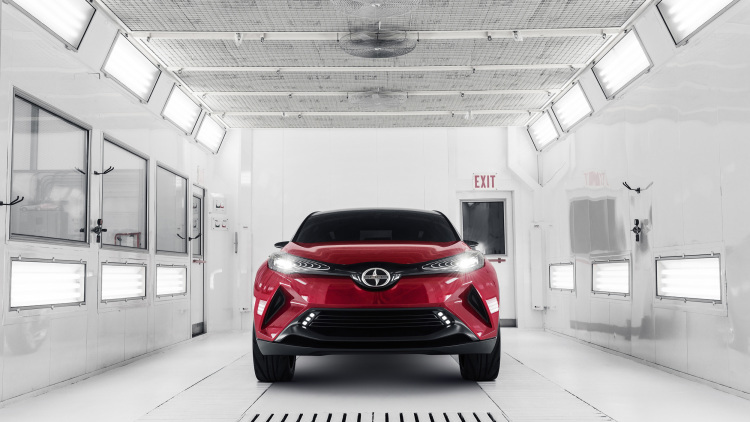 The all-new Toyota C-HR is set to make its first debut at the Geneva Motor Show, coming next week. However, We have already witnessed the concept C-HR at various previously held Motor shows like LA Auto Show and Frankfurt Auto show. The spectacular concept was eye-catching and appealing. Now, We have got some leaked images from the images that depicts the design structure of the C-HR production model. 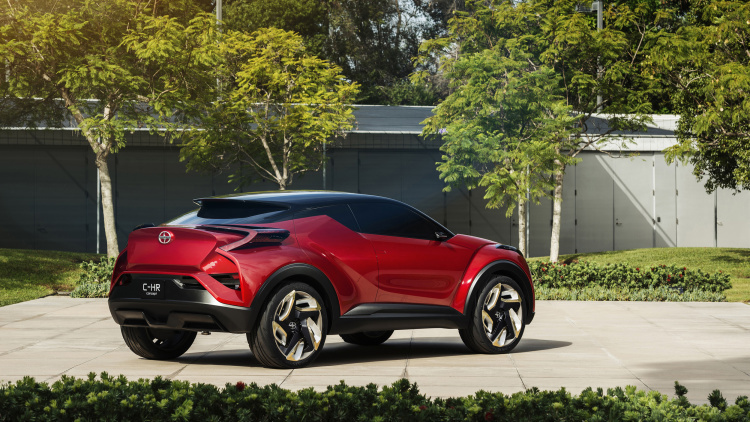 Going through the pictures, it gets clear that the C-HR appears close enough the concept model. Only few tweaks have been made on the exterior part. The design is practically similar to the concept that was showcased at the 2015 LA auto Show. The headlights get much sharper angle and comes in a round shape. The front grille too is large in comparison to the concept. Moreover, the floating roof of the C-HR appear magnificent. Interestingly, the C-HR reminds us of the Nissan Juke due to the hidden handle on the rear. Meanwhile, Toyota has confirmed that the C-HR will be powered by a hybrid powertrain and no further engine details have been revealed yet. 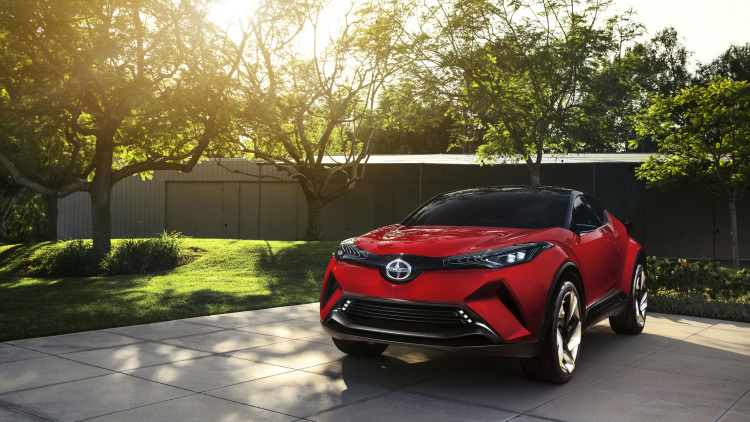 The CUV will be based on Toyota’s New Global Architecture, which can be also seen on the new Prius model. The company is expected to reveal major detail at the Geneva Motor Show.